Kuwaiti telecoms operator Viva, part-owned by Saudi Telecom Co (STC), has approached banks for a $400 million loan aimed at expanding its existing capabilities, two banking sources familiar with the matter said. Viva, which launched services in 2008 and is also known as Kuwait Telecom Company, is yet to mandate any banks for the syndicated loan facility but has approached several lenders to gauge interest, one banking source said, speaking on condition of anonymity. "They (Viva) have shown considerable progress since inception which is admirable for a regional telecoms player. Banks who commit the maximum balance sheet are most likely to be called in," the source said. "The loan will be used to boost network capabilities, roll-out new products and boost its current services." Viva did not respond to calls or email seeking comment. The sources did not want to be named as the matter has not been made public. Viva is Kuwait's third mobile operator, behind larger rivals Zain and Qatar Telecom unit Wataniya . 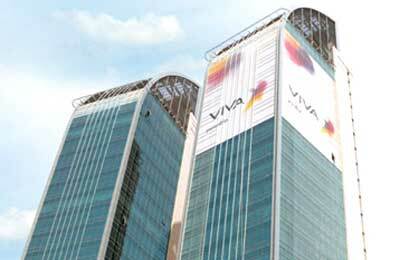 STC owns 26-percent in Viva while Kuwait's government owns a near 24-percent stake through its sovereign wealth fund. It completed an initial public offering in 2008, raising KD25 million ($89.00 million), but has yet to list its shares on the Kuwait bourse. Viva filed a listing application with the market regulator in February but declined to say when its shares would start trading. The telecom operator had built up a 20-percent share of Kuwait's mobile subscribers by 2011-end, lagging Zain and Wataniya which had 41 and 39 percent respectively, according to Zain's annual report. The operator had accumulated losses of 68.5 million dinars at 2011-end, according to its annual report, exceeding 75 percent of its capital.